Hugo Technology has appointed Steve Bertuzzi and Bill Passmore of Corvus Cura International (CCI) as executive board directors, taking full responsibility for marketing, business strategy and sales growth. The company, a medical technology repair and service specialist, made the appointments following a review of the business and implementation of a five-year strategic growth plan to partner directly with original equipment manufacturers. Steve and Bill bring more than 40 years board and commercial experience to the business. Both former directors and heads of business in large medical corporations such as Draeger Medical, Stryker Corporation and Karl Storz, they will be working with the existing board to drive growth both in the UK and internationally. 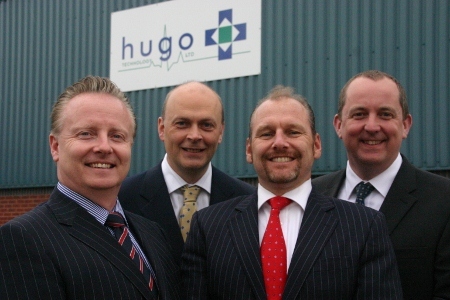 The Hugo management board will continue to be led by owners and joint managing directors, Warwick Oakey and Andrew Parton. Commenting on the appointment, Oakey said: “We are delighted to welcome Steve and Bill to the team. They bring a wealth of experience to the board, adding considerable strength and also enabling Hugo to pursue new partner opportunities. International consulting firm CCI specialises in growing medical technology small and medium enterprises (SMEs), and has significant experience and expertise in medical devices and medical equipment technology services within the UK, Europe and the USA. Both appointments came into effect on 1 May.